A driver was caught on video using his phone and driving against traffic in the middle of Tampines Bus Interchange. The video was posted on ROADS.sg's Facebook page and according to the caption, the incident happened on Aug 14 at about 5.13pm. 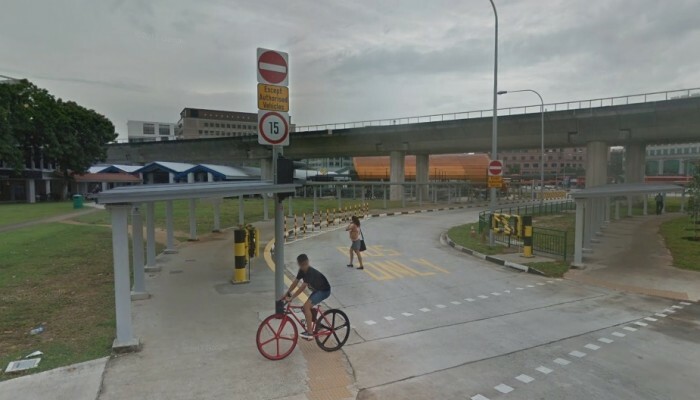 "SJX8804A driver was caught driving against traffic inside Tampines Bus Interchange and using a mobile phone while driving," contributor A Liow wrote. "At one stage he nearly bangs into Bus Service 291." There are 'no entry' signs prominently placed in front of the lane leading into the interchange saying "Except Authorised Vehicles" and road markings with the words "BUS ONLY". Netizens speculated that the driver was distracted by his phone, causing him to enter the wrong lane. Does this driver even know he's driving on the wrong side of the road at Ubi?